The citrusy- spicy cocktail opens up with accords of zesty Lemon, Anise, Bergamot, and Basil. It has delicate heart notes of Jasmine, Geranium and Ylang Ylang. The strong base of Sandalwood, Vetiver, Patchouli and Vanilla offers a warm touch. Additional Information : Brut is an icon in the world of fragrance. The classic brand was created in Paris in the 1960’s and soon became the fragrance of choice for men around the world. Men enjoy the distinctiveness and masculinity of Brut. Its robust fragrance suits their personalities and it is long lasting from day to night. Brut empowers men, giving them class and sophistication. Explore the entire range of Perfumes (EDT & EDP) available on Nykaa. 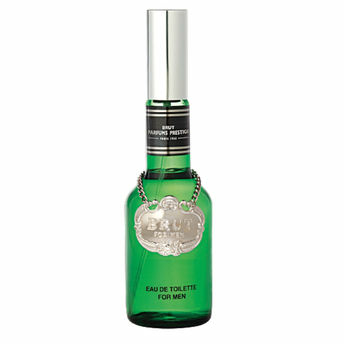 Shop more Brut products here.You can browse through the complete world of Brut Perfumes (EDT & EDP) .